Use our state-of-the-art property search, including an interactive map search, to find homes for sale in Brevard County, Florida. These listings are updated daily from the local MLS. Or, use our real estate Community Guide to help you in your search for Brevard County real estate listings. Our community searches will keep you up to date with the latest properties in the areas you are interested in. 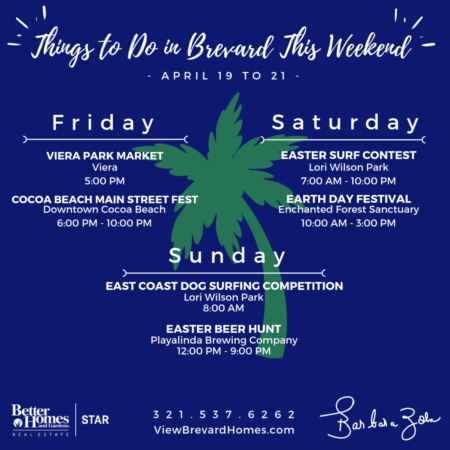 Whether you are looking for real estate in Cocoa Beach, Cape Canaveral, Viera, Titusville or Palm Bay homes for sale or beachside property on Indian Harbour Beach, Indialantic or Sateliite Beach Barbara Zorn Realtor has you covered. We don't only show only our listings, but we display all listings by all of the local real estate brokers serving the area. And, for your convenience, be sure to register for a free account to receive email notifications whenever new homes for sale come on the market that match your specific criteria, and save your favorite properties for quick and easy access whenever you need — it's fast, easy, automatic and FREE! With a Property Tracker account, you'll be among the first to know about the newest homes for sale in Brevard County, FL. Fill out the form below to speak with an experienced Real Estate Agent. And, if you have not already done so, don't forget to create an account. You can save your custom searches for quick access. Looking to Buy a Home in Brevard County Florida? When buying a home in the Brevard County area, it's essential to work with a local real estate professional who can simplify your home buying experience and help you find anything, from a dream beach house, to an ocean view condo, or just your next home on the beautiful coast of Florida. Start searching for your next home today! Make your dream of owning a piece of Real Estate in Brevad County a reality. Wanna know about homes that are not even on the market? Barbara Zorn has the connections. Relationships with local builders, estate attorneys and foreclosure companies give Barbara an advantage over other agents. Work with Barbara and her partners today! Thanks for visiting ViewBrevardHomes.com, home of exquisite properties and excellent service.